On November 15th, the Central Valley Venture Forum and Central Valley Stock Exchange came together for the 2017 Central Valley Innovation and Entrepreneurship Forum at the Clovis Veterans Memorial District in Clovis, California. The forum was an exciting day that consisted of multiple panel discussions providing tips for entrepreneurs looking to raise capital and advice for startup ventures, as well as presentations from industry leaders, entrepreneurs, community leaders, and more! In the evening session attendees, armed with their Bulldog dollars, became “Venture Capitalists” exploring local entrepreneur and startup ventures competing for the Audience Award by attracting the largest investment. Five ventures also presented to a group of investors to win the Investor Award. Keynote speakers were Paul Singh, entrepreneur and founder of Disruption Corporation, and Lorenzo Neal, former NFL fullback and Fresno State graduate. Congratulations to the winner of the Audience Award, UNICO Marketing and of the Investors Award, Benchmark Intelligence! Congratulations as well to following ventures who presented to a panel of investors for the Investor Award: BovControl, Crated with Love, Eco2Mix, and Sweep Energy. Helle Peterson chats with Greg Allen of RedTrac at the stock exchange portion of CVIEF 17. Benchmark Intelligence (left) accepts the Investors Award and UNICO Marketing (right) is presented with the Audience Award. CleanStart is a company involved with the BlueTechValley Innovation Cluster. The initial idea for CleanStart began over lunch between two entrepreneurs in Sacramento in 2005. They saw a need to support entrepreneurs and investors with ideas, education, and networking to lead them to success. With Gary Simon as Chairman, their focus is educating entrepreneurs and finding funding for them. Aside from working with BlueTechValley, they work with startups in other regions as well. CleanStart and BlueTechValley have benefited from each other in terms of playing a larger role in sustainability in agriculture, helping each other build strong connections, and providing the ability to make connections in different parts of the Central California region. Thomas Hall, Executive Director of CleanStart, says that the best advice for entrepreneurs and early stage investors is this: Network, network, and network! He believes that nothing markets itself. The more connections you have, and the more people who know what your solution is, the better you will be able to market your product. WET Center Member: Tiny Farms Inc.
Meet our WET member of the month, Tiny Farms Inc.! Tiny Farms was founded by CEO Andrew Brentano in 2012. The company produces high quality cricket powder for use as a sustainable protein alternative in food, pet food, and animal feed. A proprietary rearing system designed by Tiny Farms enables truly scalable production of cricket protein. They also output cricket frass, which is a ready-to-use fertilizer. Tiny Farms was encouraged to join the WET Center by Benjamin Francis and Jeff Macon. Through their membership, they are hoping to connect with the Fresno State research community, network with the Central Valley agribusiness community, and get their foot-in-the-door for future expansion in the Fresno area. Visit them to find out more at www.tiny-farms.com! Click to read more! Click to read more! Click to read more! The Big Bang! provides a rich immersion for students, faculty, researchers and community members interested in starting or growing a business venture. In addition to the competition, the Big Bang! offers a comprehensive series of workshops for building entrepreneurial skills. Big Bang! runs October through May—get involved and start developing your venture or idea. The competition is generously sponsored by local corporations and the investment community. 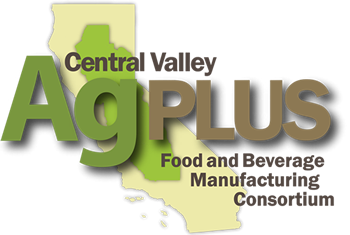 The purpose for this two-day event is to share innovations in financing tools for business, and to determine the feasibility of a regional finance fund to support new and existing food and Ag business in the Central Valley. PG&E will help entrepreneurs understand the process of working with the CA IOUs on having their technology evaluated and verified for both incentive programs (energy efficiency and demand response) and grid modernization projects. The session will provide background context, including regulatory the environment, and in-depth information and criteria need by the entrepreneurs to best bring their technology solution to the CA IOUs. November is National Pomegranate Month! Make sure to pick up some of this sweet California commodity at the Fresno State Gibson Farm Market to make jellies, jams and wines before they are no longer in season! The WET Center is celebrating its 10th birthday! Come celebrate the past, present and future of the WET Center!